Moving to a new home is a life-changing event and by choosing RCS as your moving company you can ensure that everything will go according to your plan. We understand that everybody has different needs, whether it's the size of your property, your budget or your timescales. Whatever your situation, RCS is a removal firm that offers a comprehensive choice of moving and storage services which allows us to personalise the entire move to suit your needs. So whether you are moving your home or your business, moving within the same town or overseas, need storage for your home or business, or are moving yourself and just need professional packing materials, RCS has the right service for you. 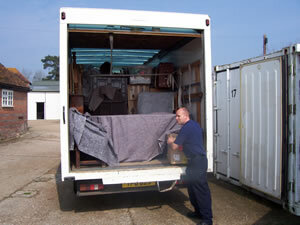 Full packing and unpacking service available. This includes full export wrap if travelling abroad. We can organise the shipping of a single box to a full size shipping container anywhere in the world. All our staff are uniformed and friendly! Your things will be well protected during transit. If you are selling your house, we can come and de-clutter it to make it easier to sell. It may get you a better price! 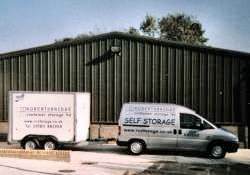 Removal, Book and Archive boxes, wrapping paper, bubble wrap, tape, mattress, sofa and armchair covers, shrink wrap, pens, woollen & paper blankets. All you need to pack your house or business up. Parcel Service - Don't stay in all day waiting for a delivery. Have your parcel delivered to or collected from us.